Today’s topic? You guessed it… Superbowl food of course! No nobody wants to spend their entire Sunday in the kitchen, and with a tight budget, planning a Superbowl menu for a bunch of hungry college kids can be difficult. Now you can take the traditional route and head to the grocery store to purchase the frozen wings, mozzarella sticks and chips and salsa; or if you enjoy taking the extra time to cook, try out some of these tasty recipes my roommates and I used yesterday at our apartment. I’m going to focus on the dips we made, since I think dips are perfect for groups of people, and you can never really have enough. I know this year’s big game day has passed (Congratulations, Saints! ), but these recipes work great for any game you and your friends get together to watch. Feel free to share what you and your friends did for Superbowl in the comment section, I’d love to get some more ideas! Chili-cheese dip is about the easiest thing you’ll ever make, next to toast. 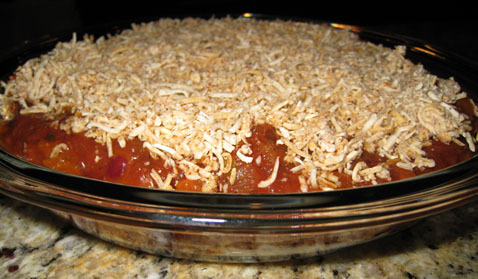 When you take the dip out of the oven, make sure you let it cool for a few minutes before serving- it’s extremely hot! Serve it with a bowl of tortilla chips: I find that Tostitos Gold or multi grain chips really work well since they’re a little bit thicker than the normal chips, and can hold the dip easier. And that’s all, so easy and quick! 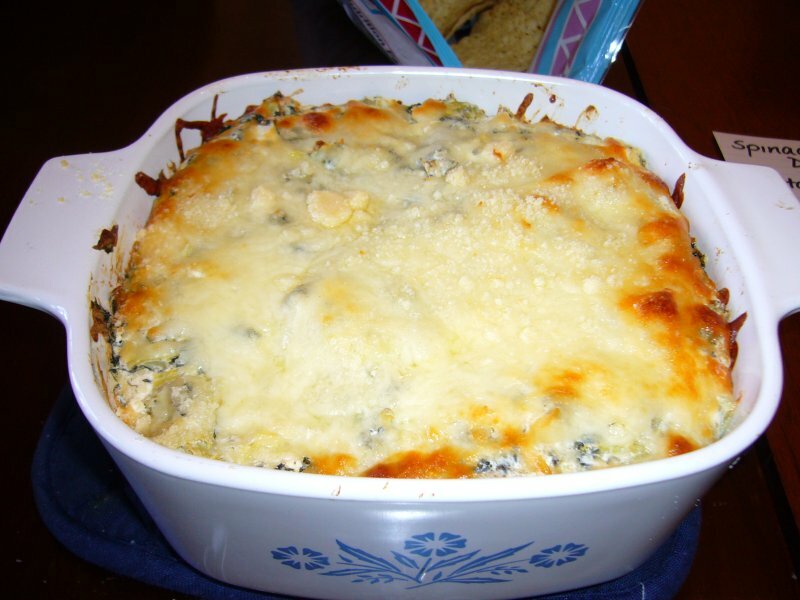 Next up, a Blended Spinach Dip: cheesy and delicious! Transfer everything to your baking dish and fold in the romano and mozzarella cheeses. Stick it in the oven for about 20-25 minutes until it’s thoroughly heated and a nice golden color. Again, make sure this dip has time to cool down before serving. You can stick with the tortilla chips for this one of course, or if you want to mix it up, serve it with chunks of Italian bread that you’ve thrown in the oven for a few minutes so it’s crispy and warm. Dip recipes are everywhere. Whether you want to read them from a website, or watch a video on YouTube, you won’t having any trouble finding a dip that sounds good for you and your friends! Enjoy!